Being a die-hard bibliophile, the one thing I was sure of in the general confusion of parenting, was that I would introduce my child to books as early as was possible. Some of her first toys were bath books, touch-and-feel books and board books. I let her bang them on the ground like other toys, let her put them in her mouth, and one of my joys as soon as she could sit up on my lap was reading aloud a book to her. Of course, I would 'read' to her in my native tongue, telling the story as I went, with her intent on seriously turning the conveniently stiff pages of the board book with her tiny fingers. This was a time when she was monolingual, and we wanted to wait for formal school to introduce English to her. I do not know how much of the stories she understood, but at 10 months, she was already associating the words I said with particular pictures. 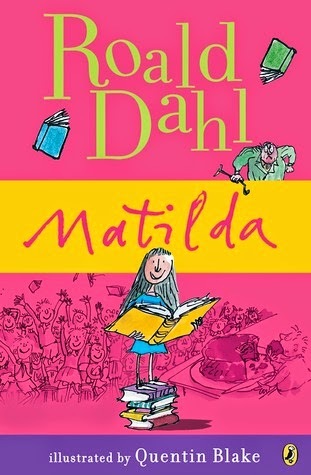 Here is one favourite book for every year of her life; not necessarily the best book we read that year. Just the best loved - the comfort factor. That would be a baker's dozen. A hippo, a bear, a rhino, a rabbit, and then some ... are animals on an ark. Come night, they all get ready for bed. They brush, change into their pyjamas, exercise, and then fall asleep to the rocking of the ark in the moonlight. 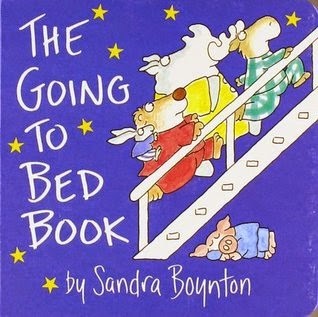 A gentle, soothing, and beautifully silly book for bedtime. This lasted us a really long time, right until she was 5, picked up every now and then, even after she could read on her own, scratched and crisscrossed with pencil and crayon marks. A baby bird hatches while its mother is away. 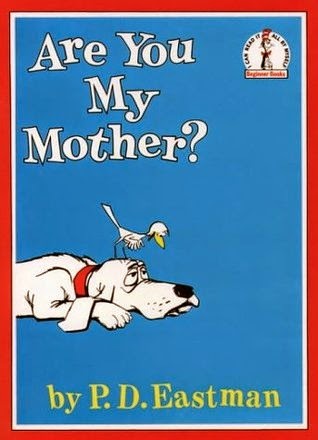 Eager to meet her, it ventures forth into the world, meeting a series of assorted animals one might encounter ordinarily in a domestic setting, whom it askes this question, "Are you my mother? ", only to be disappointed. Until finally it meets the mother in quite an unexpected way. I read this one too, in my native tongue to her. A loved the litany of the question, occurring throughout the book, and would chime in with glee. She quite identified with the bright-eyed, chirpy (pun intended), and earnest baby bird rushing around to find its mother. This is a book we have gifted many times over to friends and family. A well-loved teddy bear, out for a walk in the pram with its human, Lily, falls off it. "Teddy was left all alone." So what does poor Teddy do? He bravely squeezes out of the park in between the bars of the grilled gate, and finds his way home. The way takes him through busy traffic roads, pavements full of people, and deserted, lonely lanes full of growing shadows. Until finally, he gets to a door impossibly closed. How he gets in, just in time for being inside the door when Lily searches for her beloved Teddy at bedtime, makes up the rest of the story. This book was gifted to A by her paediatrician in the UK hospital where we had taken her for a few tests, for being brave and not crying so much. It was a prized possession, and of course we read it over and over again. Ten animal mothers and their babies have a noisy, rollicking time. One turtle swims, two ducklings quack, three owls to-whoo, four mice squeak, five bees buzz, six squirrels jump, seven froggies hop, eight lizards run, nine piglets oink, ten foxes play. An adaptation of a a popular rhyme, this is a great introduction to many things - numbers and counting, common animals and their babies, animal sounds, and a sense of meter, rhyme, rhythm, among these; along with being a great springboard for fun activities for a hyperactive child. 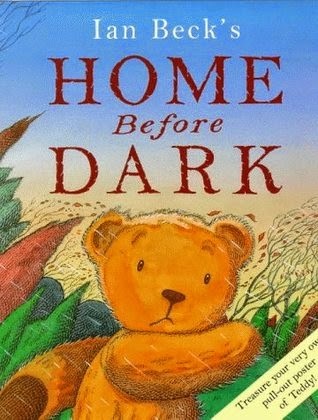 This was also a perfect book for us to read in English, as she had begun school a few months before she turned 3, and was being introduced to the language. 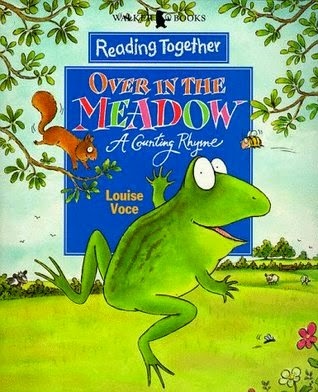 If I were to pick one book as essential reading for under-fives, this one would be it. 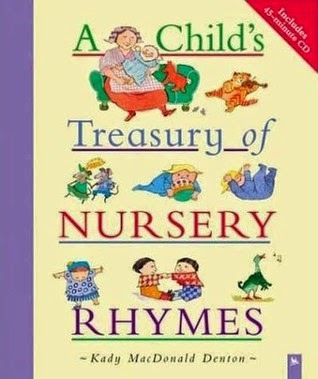 Dedicated to "children now who will grow up in the 21st century", this is a truly eclectic collection of rhymes, not just from the English, but from many other languages and cultures, fitting in harmoniously with the flavour of the book. The illustrations, done in pastel shades of watercolours, bring alive these rhymes. Separated into sections - baby, toddler, school children, and a mix of all, the book has some gems that kept us entertained on lazy afternoons. A picks up the book even now, sometimes, whenever nostalgia strikes her. 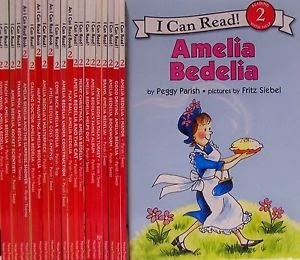 Amelia Bedelia is a charwoman, who takes things too literally. The bread dough is supposed to rise, so Amelia Bedelia is confounded when it just sits there in the pan. How could she know that when asked to shorten dresses, she should be turning up the hem and sewing it, instead of snipping away the excess length? Or when asked to stamp the letters at the post office, how could she know that she wasn't meant to put them all on the floor and stomp all over them? A rib-tickling, rollicky, laugh-out-loud funny set of books, that play on the vagaries of the English language. This is pure silliness for silliness' sake, which was thoroughly enjoyed with giggles and guffaws. The set of books is a treasured possession, and even today A takes them all out and pores over them, laughing away. I would look at them as the precursors to enjoying Wodehouse later in life. 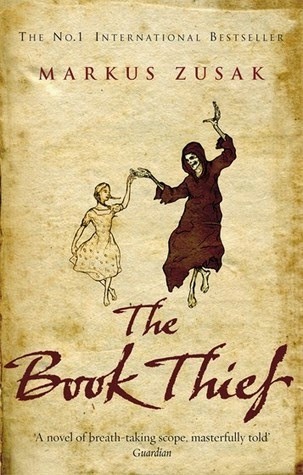 It has become fashionable to dismiss, even criticise Enid Blyton. While I agree that there are many elements of her writing one can object to, her books are, in my opinion, essential reading for any serious reader of fiction in English. From the many gems among her books, the Naughtiest Girl series - The Naughtiest Girl in school, The Naughtiest Girl Again, and The Naughtiest Girl is a Monitor - stood out this year. Elizabeth Allen is an irrepressible tween who 'decides' to be bad at her new school, and she does get into plenty of trouble, but everyone, and everything that happens around her, finally bring out the best in her. These are books, along with Blyton's St Clare and Malory Towers books, that we seem to be reading over and over again, going back to them every time there is a 'situation' at school. This was the year for the girl who was different, and who had a thirst for books and a secret magic power. Needless to say, it was lapped up by the girl at home, who also wished for a secret magic power like Matilda, so that she could keep bullies away. This was also the year we began the reading aloud of the Harry Potter series, which was an ongoing thing for the next 4 years, interspersed with the Inkwell series (Inkheart, Inkspell, Inkdeath). These deeply affected the way she thought about language and literature, fantasy becoming a favourite genre to read and write in. And of course, there were also all those interesting book plugs in there that we explored. Lewis Caroll's masterpiece does not require much of an introduction. 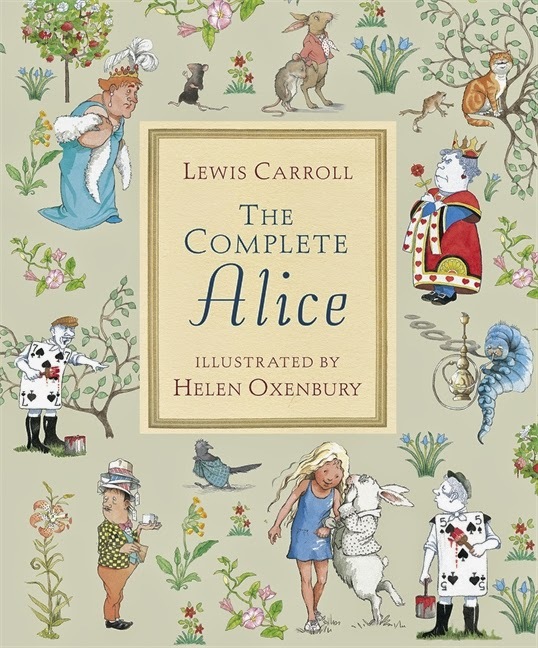 This particular edition - a boxed set that has both Alice in Wonderland and Through the Looking Glass - has gorgeous illustrations by Helen Oxenbury to match the scintillating text. A had read the Alice books earlier in an abridged version, as well as watched the Disney version on screen. She was riveted by the discovery of wordplay and humour that characterizes the original. Robert is a 12 year old, who is terrified of math, as also of the alarming dreams that he seemed to be prone to. And then one night, the number devil visits his dreams. And so begins an adventure that goes on night after night. 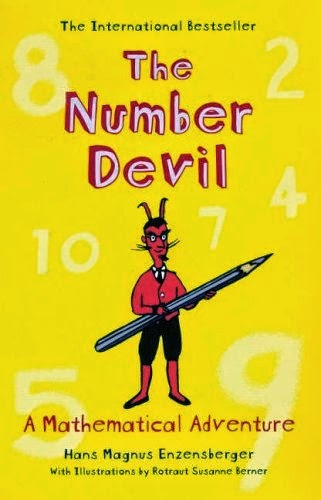 The number devil makes the world of numbers devilishly simple, deconstructs mathematical concepts for Robert, and by extension for the reader, making it fun. As A once remarked, this book should be part of the curriculum. A teen who gets into trouble for no fault of his own. An old family curse. A bunch of crooks who run a correctional facility. A place in the desert miles from anywhere. God's thumb. An entrepreneur obsessed with finding a cure for smelly feet. A legendary woman bandit who became one because of circumstances. Buried treasure. A whole group of dysfunctional teenage boys and their internal politics. 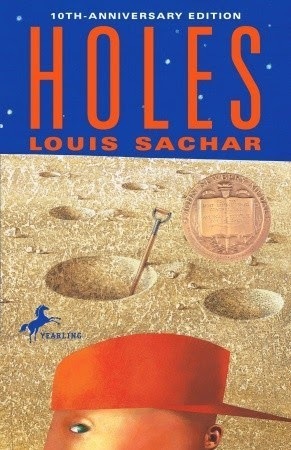 A sure shot recipe for something fabulous in the hands of a storyteller like Louis Sachar. There are multiple narratives that run in parallel, interweaving in unexpected ways and coming together to a startling finale. This book was a winner from the word go. This is also one of those rare books whose movie version was actually as good, if not better, than the book. This book is wonderfully affirmative of life in a period that could be called a blot on humanity. the Holocaust. 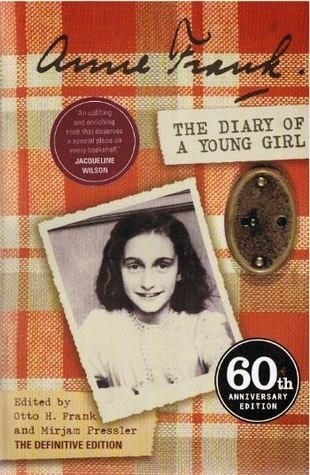 Anne Frank and her family, along with some friends, all Jews, had to go into hiding as a result of Hitler's Final Solution. They were helped by non-Jew friends. All through the years in the Secret Annexe, as Anne called it in her diary, she wrote prolifically, in her diary, as well as short stories. Through her diary, we realize that she went in a child, but came out of it a woman, growing in her thoughts. It is unfortunate that she did not survive the Holocaust. The world certainly lost a gifted writer and good human being. This book, too, should be required reading for all teens. It was a sort of 'coming of age' book for A, and inspired in her a desire to be regular diarist too. Liesel Meminger is a 9 year old who is sent to live with foster parents after her parents are taken away as communists. She befriends Rudy, a non-Jew boy who has a normal childhood, complete with loitering around with friends, and stealing fruit from the trees of wealthy farmers. She also finds an unexpected friend in Max, a Jew who is given asylum by her foster parents, his life reduced to a dark basement filled with old paint cans. Her Papa owed his life to Max's father, beside whom he had fought in the Great War (WW1), and this was his way of paying back. And everywhere around them, Death was doing his macabre dance, telling the tale as the narrator. A found the book mesmerising: the narration, and the extraordinary use of words. She has yet not found another one that matches up to this. We are looking forward to the movie, now, which will be released on DVD in early June. Sandhya, What a lovely idea!! A great set of books as well.